1. Multisite will continue to diversify. The profile of the multisite church will continue to diversify as it is embraced by churches of all kinds and sizes- contemporary, traditional, nondenominational, mainline and next-generation. Multisite has become a proven strategy for reaching people and making an impact on communities for churches of any size. Churches of 200, 2,000 and 20,000 are launching multiple campuses. It’s not about size; it’s about health. Healthy churches reproduce and multiply. 2. Multisite will significantly multiply. It’s not just a megachurch phenomenon- not even primarily a megachurch phenomenon. My research indicates that more than 3,000 multisite churches exist, and less than one-fourth of them are megachurches. (Many of them now have the potential to become megachurches because they are no longer restricted by limited space or zoning conflicts.) Most of the 1,500 megachurches (congregations of 2,000 or larger) in the United States are single-site, according to Leadership Network. But in 2010, the number of megachurches going multisite will surpass 750, (50 percent of megachurches). In the coming year we will also see an increase of churches with more than three locations, churches launching multiple campuses simultaneously, and multisite campuses reproducing new congregations. In 2009, 5 million people- 10 percent of all Protestant churchgoers- attended one of the country’s multicampus churches. By the end of 2010, research indicates that there will be more than 5,000 multisite churches, a one-year increase of 2,000, with a corresponding rise in attendance. 3. Multisite will spur the growth of missional communities. Multisite has brought a paradigm shift in how we think and do church. It has expanded our thinking beyond the four walls of one location and has shifted our vision to see our community with new eyes. It has put the “local” back in local church by taking church to the community, with venues in schools, theaters, pubs, coffeehouses, jails, hotels, community centers, YMCAs and retail centers, among other innovative locations. We will see more intentional, geographically based small-group “missional communities” with an externally focused strategy to precede and complement the planting of new campuses in targeted areas. 4. Multisite will facilitate more missional mergers. Multisite-driven, mutually desired church adoptions, absorptions and acquisitions are dramatically increasing. Congregations that were barely able to survive in a more stable economy have had to take a hard look at their sustainability in today’s more challenging economic climate. In many places, this has precipitated honest evaluation that has helped churches identify inefficiencies and even non-viability. Multisite-oriented missional church mergers-”We can do better together than separate”-are revitalizing and transforming the church landscape across the nation, not just as a means for survival, but as a tool to help refocus and reinvigorate mission. 5. Multisite will become more widely embraced internationally. Not only are North American churches launching international campuses, but more encouragingly, indigenous multisite churches are emerging in Europe, Asia and South Africa. 6. Multisite will be more aggressively integrated into church-planting strategy. More congregations will become proactive in church planting as they experience the benefit of reproduction through their multisite efforts. Increasingly, denominations are looking to local churches to lead the way in church planting instead of the other way around. This is a significant shift of initiative. Multicampus churches have driven the explosion of church-planting networks of the last few years: Seacoast Church and the Association of Related Churches; Mars Hill and Acts 29; Community Christian Church and NewThing Network; among others. It is no longer an either/or question of do we plant churches or multiply sites? Both “multisiting” and church planting share the same basic goal: a new congregation in a community where one did not exist before. Multisite, then, has enriched church-planting strategy with one more effective tool, and campus pastors and church planters are the new “heroes” in the Church today. 7. Multisite will accelerate the trend toward teaching teams. Teaching teams are on the rise in multisite churches and will become the norm in the years ahead. More female teachers and campus pastors are also emerging. 8. Multisite will energize rural congregations. Those seeking to plant reproducing churches- and multisite churches- are renewing long-established churches and stimulating new, vibrant congregations in the neglected back-road areas of America. Church planter Charles Hill, who networks rural churches through The Sticks conference, points to five examples to illustrate what he sees as a growing trend: rural churches leveraging multisite. Foothills Community Church in Seneca, S.C. (population 8,000) is running more than 2,000 in worship attendance at two locations. Brand New Church in Bergman, AR, (population 400) welcomes more than 2,000 each week, distributed through four campuses and three satellite house churches. Newpointe Church in Dover, OH, (population 12,000) also averages more than 2,000 at three campuses. Zion Church in Clarion, PA, (population 5,300) attracts a worship attendance of more than 500, meeting at two sites. Not all rural multisite churches are this large; in fact, most aren’t. But clearly-from Hill’s perspective, at least-the “church in the sticks” is the new frontier. 9. Multisite will foster the growing movement toward Internet campuses. Still in its infancy, the Internet campus is a natural extension of the multisite model and will outgrow the multisite movement in terms of sheer numbers. 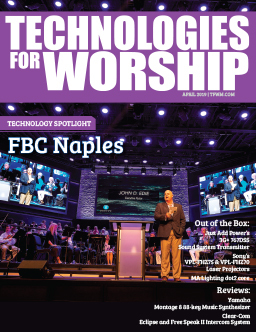 The online efforts of large, progressive churches like LifeChurch.tv, Seacoast Church, Flamingo Road Church, Northland: A Church Distributed and NewSong Community Church led by Dave Gibbons are well-documented. But it’s no longer just a megachurch phenomenon. 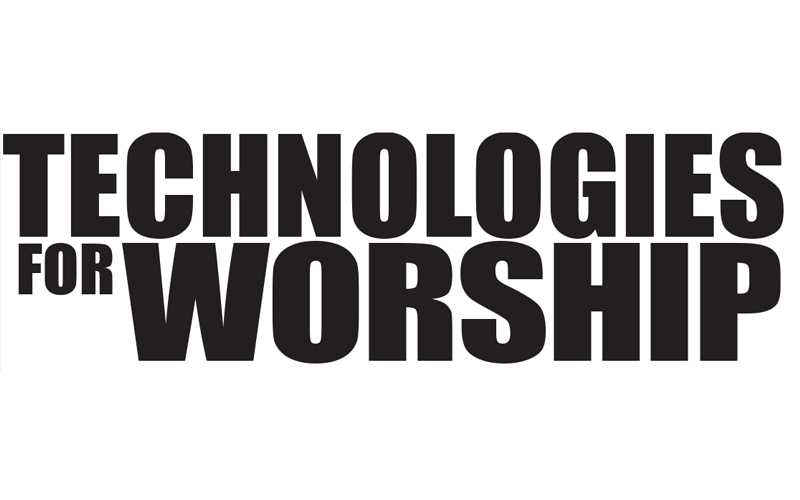 Any tech-savvy, outreach-oriented church, regardless of size, can and will reach into cyberspace. 2010 will bring an explosion of Internet campuses. 10. Multisite will shape, to an even greater degree, how new facilities are imagined and new technologies adopted. New church construction will primarily focus on adding multiple venues in one location, upgrading existing church campuses and retrofitting “third-place” spaces. High-definition will continue to gain ground as the standard for video presentation. 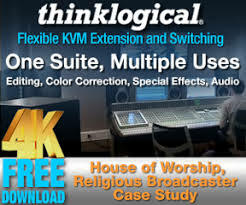 Though satellite transmission is increasing, video-streaming over high-speed, broadband Internet connections will become the primary vehicle for delivering sermon content. Still, the most common, least expensive and reliable means of sermon delivery remains video recording and delivery utilizing DVD or hard drive.